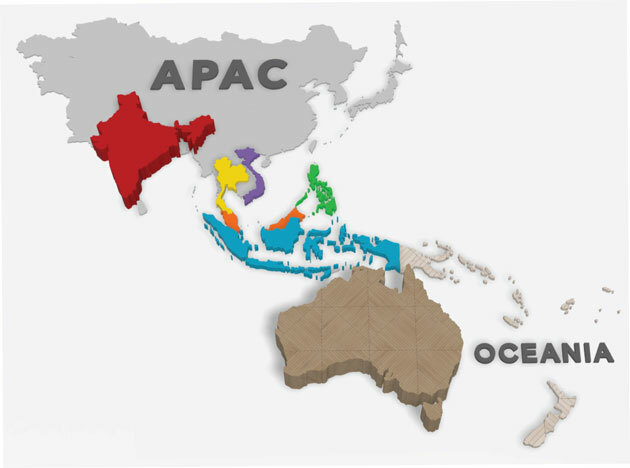 Asia Pacific (APAC) and Oceania are showing a clear and rapid transition to smartphones, according to a Q3 State of Mobile Advertising study from Opera Mediaworks and the Mobile Marketing Association (MMA), released today. Even in markets where the transition from feature phones to smartphones has been slower (Vietnam, Indonesia and the Philippines), about half of the mobile user base has moved to smartphones. A study of mobile users on Opera’s global mobile-ad platform in six select APAC countries found that Android is the leading OS for smartphones, with 67.1% of impressions being served to those mobile devices (and 30.4% to “other”, or feature phones). In Australia, however, the opposite trend has surfaced: iOS dominates with a 68.5% market share compared to Android’s 30.7% and feature phones on less than 1%. Below are the key findings from the study of the APAC “P6” – India, Indonesia, Malaysia, the Philippines, Thailand and Vietnam – plus Australia. ● While Android market share in the P6 is similar to the global average (65.4%), its share of revenue is higher – 54.9% vs. 44.4% globally. This is likely the result of Android being the go-to OS for smartphones and thus the chosen platform for high-value brand campaigns. ● India leads the region in overall revenue and traffic, accounting for more than half (53%) of impressions. It falls lower, however, in terms of monetization potential, due to the relatively high (25%) share of feature phones. Still, compared to other feature-phone-dominated markets, its share of revenue is equitable to that of impressions, indicating a relatively strong monetization model on “other” platforms. ● Mobile video ad formats command higher eCPMs than rich-media display and even native ads in nearly all of the countries in the study. ● Mobile stores and carrier portals are the most popular category in most of the countries, the result of feature-phone owners needing to access content and apps through these channels. In fact, 88.5% of unique users to mobile stores and carrier portals are visiting from feature phones. ● Social Networking is the most or second-most popular category for five of the seven countries. It is noticeably missing from the top three in Australia, which is instead dominated by Entertainment, Sports and News & Information. ● In three countries (India, the Philippines and Vietnam), nearly 8 in 10 impressions are served to the top three categories, indicating highly condensed interest areas. Malaysia and Thailand, on the other hand, show traffic going to a wider set of categories. ● Gamers have strong preference for iOS, particularly in Australia, where 83% of them use Apple devices. Even in the P6, the preference for iOS is clear, with a 18% share, nearly 7X the P6 average of 2.6%. Cut the Rope is the no. 1 game in nearly every country. ● India, Indonesia, Malaysia and Vietnam all contain a strong percentage of Savvy Shoppers, with such favorite local sites as Tokopedia, OLX, Lelong and Chợ Tốt. To view the full report, visit http://www.operamediaworks.com/innovation-and-insights/state-of-mobile-advertising-apac-2015-q3.